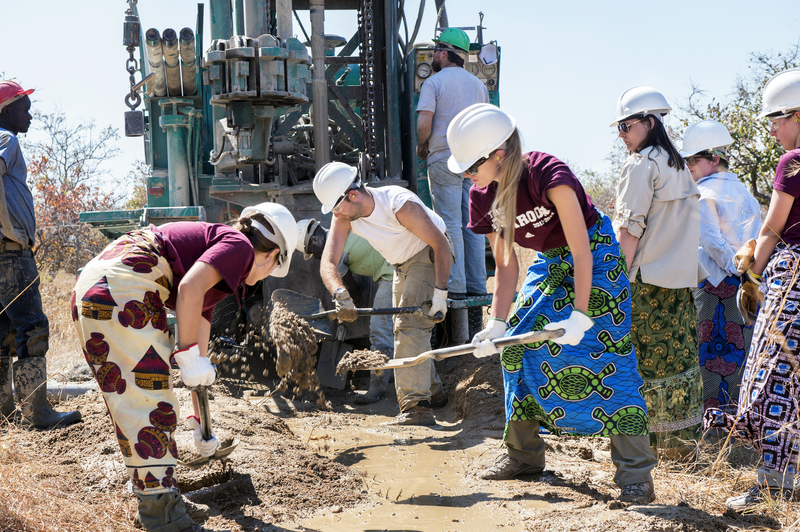 EWB-USA’s Mississippi State Chapter (EWB-USA MSU) recently traveled to the Simwatachela Chiefdom in Zambia with a focused goal: to drill a well. But before the drill broke ground, Leonard, headsman of Siamabwe Village, had a goat from the village’s herd prepared for the team. This celebration–a delicacy not often enjoyed by the village–was held simply because the team showed up. According to Dennis Truax, the EWB-USA MSU Chapter’s faculty advisor, the people of Siamabwe are so appreciative of people just showing up because it signals to them that their life-sustaining needs were not forgotten. The EWB-USA MSU team had far from forgotten the people of Leonard’s village and their plight due to a severe lack of water. They had come back with far greater intentions than to just show up. The previous summer, a team from EWB-USA MSU conducted an assessment trip in this vast rural region in southern Zambia, which suffers from hunger and disease due to a lack of water. 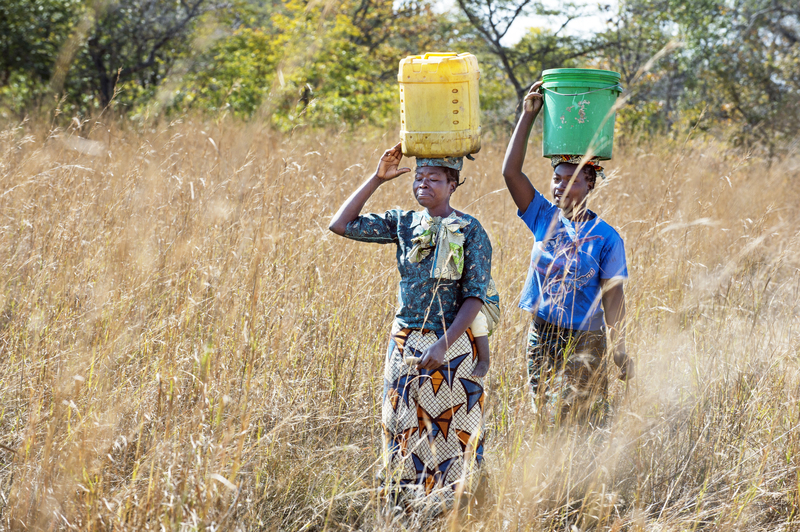 The community’s water supply comes from polluted, stagnant pools often shared with the region’s wildlife and livestock. The pools that don’t dry up during the six-month dry season are the source of cholera, dysentery, and hepatitis A. Following the assessment trip, the team worked to develop a method to bring a year-round source of water to Leonard’s village, determining that hand-pumped wells were the best solution. Now the time had come to implement the solution. But once the drilling commenced, the celebratory mood from the day before quickly diminished. The first borehole was dry. Despite a year of planning, they did not hit ground water. The discouraged students worried that the community’s celebration the day before had been premature. Laura Wilson, president of the EWB-USA MSU Chapter, remembers well the fear that they were failing Leonard and his village. 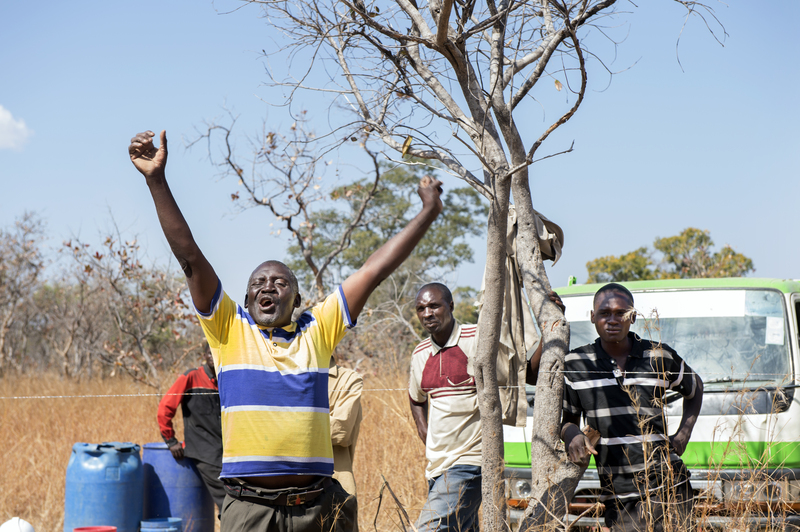 But the community members–invested partners in their water project–never lost confidence that the team would succeed. According to Laura, Leonard and his community remained enthusiastic and committed to implementing a working well throughout this initial setback.